UPDATED – STRASBOURG, France (CNS) — At noon Dec. 12, the bells of every Catholic church in Strasbourg rang for 10 minutes to honor the victims of a terror attack at a Christmas market the previous day. On Dec. 11, a shooter opened fire on the crowd, killing at least two and injuring 12 others. Police said the suspect, a 29-year-old man presumably linked to radical Islam, fled the scene after he was injured by soldiers. The attacker was said to have yelled “Allahu Akbar” (Allah is the greatest) during the incident. Police said the suspect was radicalized while in prison. 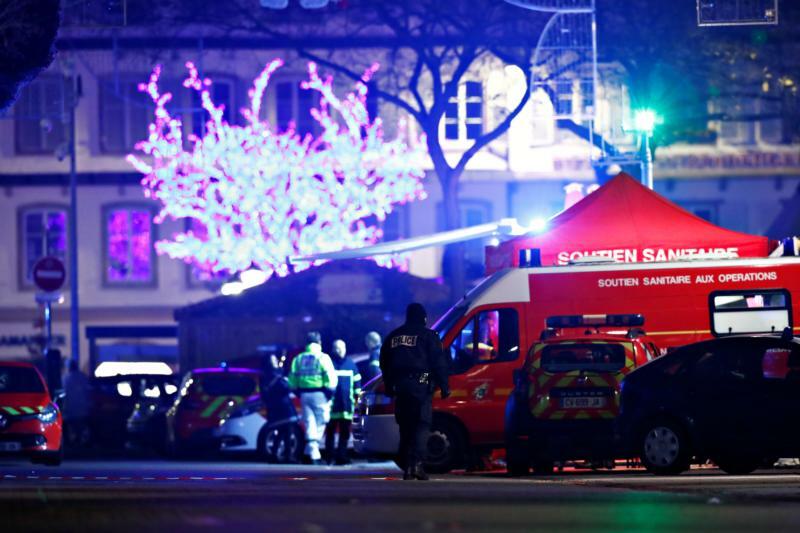 “Once again, once again, terrorist violence has struck us,” Archbishop Luc Ravel of Strasbourg said in a Dec. 12 statement. He said he felt the same “vertigo” he had after the 2015 terror attacks in Paris. “Vertigo in front of the lucid madness of the assassin, who should not make anyone believe that his act is rational or religious. It is absolutely necessary that all religious authorities rigorously denounce this vicious rapprochement between God and terrorism,” wrote Archbishop Ravel. In a telegram sent Dec. 12 by Cardinal Pietro Parolin, Vatican secretary of state, the pope offered prayers for the victims, the wounded and their families. “As he entrusts the deceased to God’s mercy, the Holy Father sends a special thought for the professionals and volunteers who are taking care of the wounded,” Cardinal Parolin said in the message sent to Archbishop Luc Ravel of Strasbourg. The archbishop invited all religious communities to join a Dec. 13 prayer service at the cathedral of Strasbourg. Though there was no link between this attack and the ongoing “yellow vests” crisis that’s been going on for many weeks in France, it added to an already tense situation. On Dec. 11, the permanent council of the French bishops’ conference called on parishes throughout the country to become places of dialogue. French cities have been hit by weeks of violent demonstrations, known as the “yellow vest” protests after the high-visibility vests worn as a symbol of French citizens’ demands. The protests began in mid-November as demonstrations against a carbon tax policy and planned fuel tax increases, but grew into wider discontent at the leadership of French President Emmanuel Macron. The bishops said France lacks places of discussion and reflection that would allow citizens to come up with positive ideas for the country. For them, the vast Catholic networks, including parishes, can provide such places. “That is why we propose, in the weeks to come, to stimulate, wherever possible, groups of exchange and proposals” by inviting people of all faiths to participate in dialogue. They proposed five questions that could serve as starting points for discussions, ranging from the roots of the crisis to which steps should be taken for hope and the common good.